I’m continuing to put some of my KALs together and index them on here to make it easier for everyone to find. 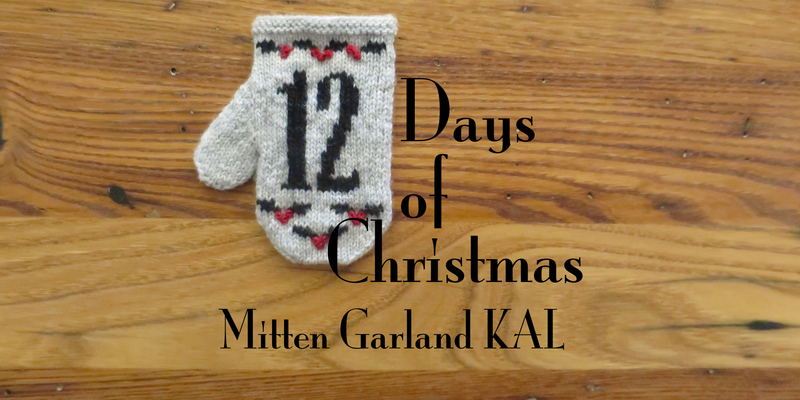 Today we are moving on to the 12 Days of Christmas Mini Mitten Garland. You now have two ways to get these patterns. You can buy them all as one pdf on Ravelry. The pdf contains the written pattern and 26 charts. That is two charts for each day, one mirrored and one with a number. 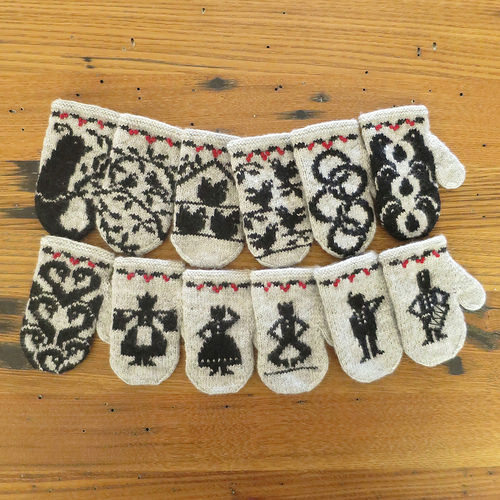 Mitten number seven has two different images to chose from as well. This version of the pattern has been tech edited and the charts slightly updated since the original KAL. You can also still get all the patterns available for free here on the site, though you do need to download them one by one. 2 years ago by Kat in 12 Days of Christmas KAL , Christmas , Holiday , Knitting , Knitting Projects , Knitting Socials , Needlecraft , Projects | You can follow any responses to this entry through the RSS feed. You can leave a response, or trackback from your own site. Thank you so much for taking time to create these indexes for those of us who missed the original KAL. Thank you for sharing your creativity. Although I am late to the party, I intend to make mitten 1 my Christmas cast one, with plenty of time to complete for next year! Merry Christmas/Happy Holidays to you and yours, and thank you again for your generosity! Thank you so much for your generosity for those of us who just saw this! !